I had about 1 cup of leftover Spaghetti Squash that had been sitting in the fridge and I was uninspired by it until this morning (it was actually my lunchtime since I didn’t have time for anything besides Coffee this morning, because I went to Yoga). I was hungry and really craved some scrambled Eggs and Bacon and then saw the jar with Squash and knew I needed to come up with some way to use it up or it would go to waste which I hate! 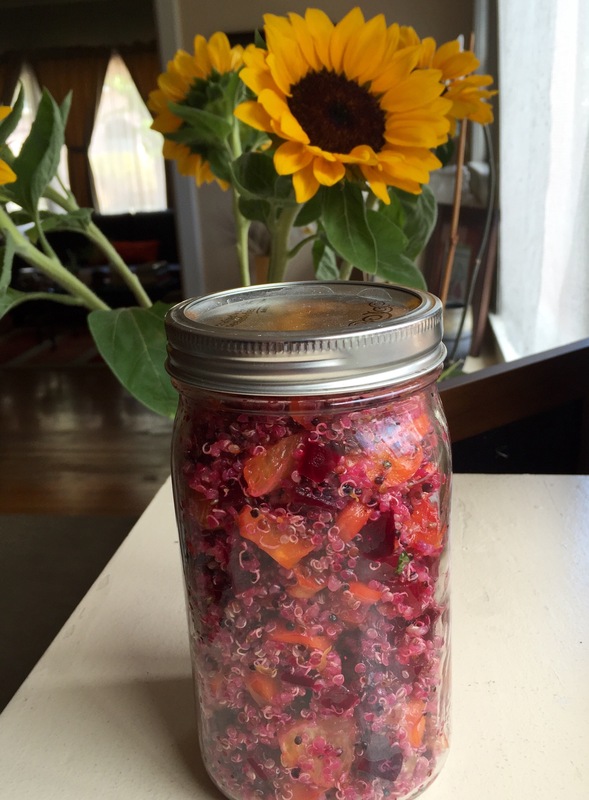 Having grown up with a mother who lived in Holland during World War II, I learned not to take food for granted. I still remember her telling us how she used to eat an Apple — all but the stem and the seeds. Funny I find myself doing the same these days, and I feel healthier doing it! 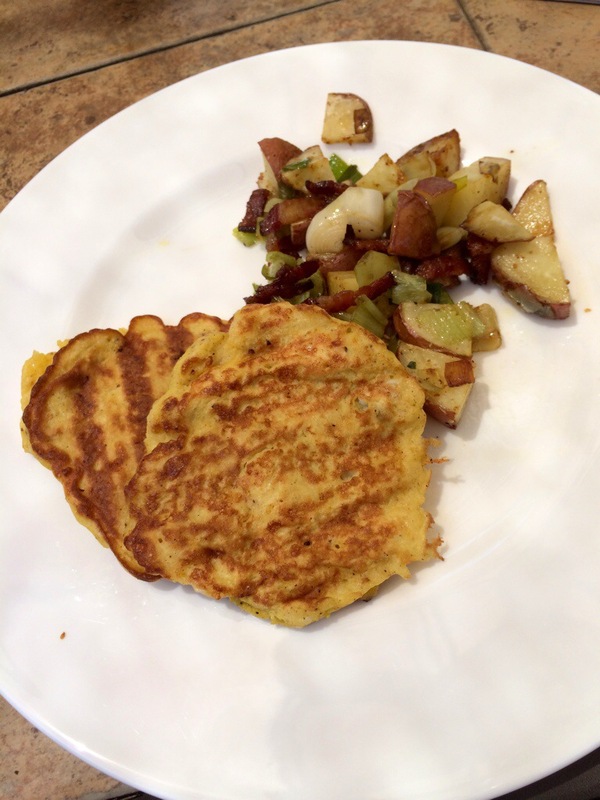 Back to my Pancakes…I made this up and it turned out delicious so I hope you’ll try it. You could also use grated Zucchini. Mix all the ingredients (Squash, then Eggs, Cheese, then dry) in a medium bowl. Next, I slivered 2 pieces of Bacon into a nonstick pan, cooked until crispy, them removed them. When you sliver it, you get Bacon in every bite but don’t have to feel so guilty since you are eating just 1 piece. If you are vegetarian or vegan, use Butter or Olive Oil. Then used a small ice cream scoop to drop the pancake mix onto the pan (over medium heat) with the leftover Bacon Fat. The ice cream scoop helps to keep the Pancakes consistent in size. Cook on each side a few minutes and keep warm in the oven at 200 F.
I served them with a hash made from 4 small roasted Red Potatoes, sauteed Leeks and the slivered Bacon. Serve with some green Tabasco sauce for a bit of acidity. Note, if you don’t have Chickpea Flour, you could use an All-Purpose Wheat Flour, but the Chickpea Flour adds a nice, slight nutty flavor plus extra protein, and makes them Gluten-Free. 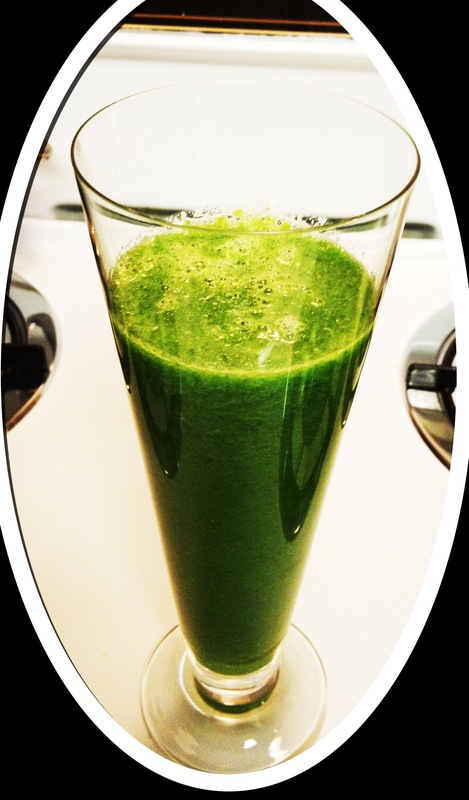 I love my breakfast this morning and thought I just have to blog about it, right now! I recently discovered Jamie Oliver’s Perfect Winter Meusli. He is one of my favorite Chefs. I think his recipes are very approachable, even for not very experienced cooks. This is a perfect example. 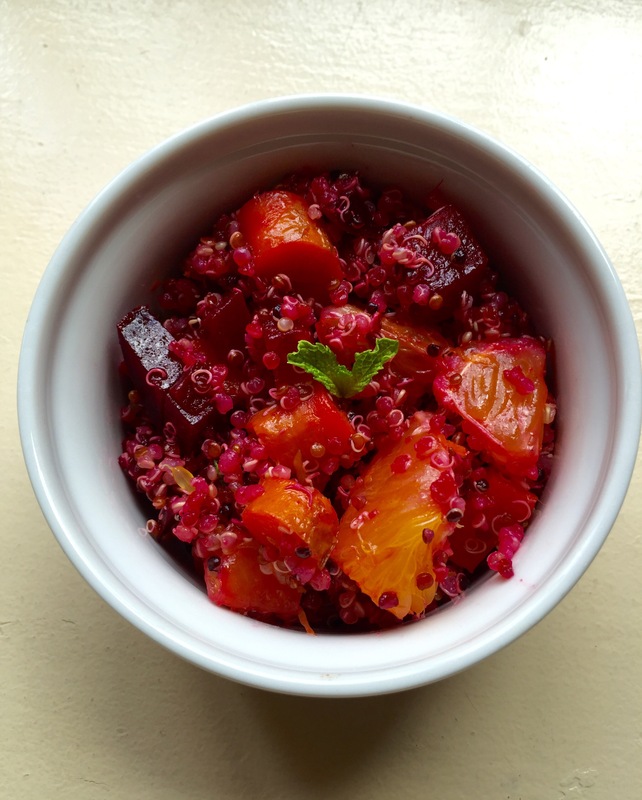 This Meusli is full of goodness and is so comforting. Super easy too and kid-friendly! Check out the video here. Sorry I didn’t include a photo but by the time I thought about writing, my bowl was half gone and no longer photo worthy! Happy New Year to all and thanks to all my followers from around the world. It was a great year and I hope to write and inspire much more in 2013. And, don’t forget…there’s other content to see on Twitter @FoodOutsdTheBox so if you want, you can follow me there too! 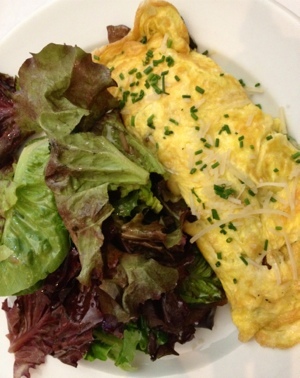 Omelettes are wonderful for a satisfying meal any time of day! I enjoyed this one for lunch at K & L Bistro. Eggs are a great option for eating vegetarian, and I prefer a meatless meal much of the time. I love vegetables and just about any of them go with eggs. There are so many ingredients for filling them, such as sauteed red and yellow peppers, onions, spinach (one of my favorites in an omelette! ), feta, peaches, sliced prosciutto, crab, and more! They are also a great vehicle for using up leftovers, like a ratatouille, or sausage ragu. If you’re not comfortable with the idea if making an omelette, you could also use the same ingredients to do a frittata or even just scrambled eggs. Add a salad of greens and you’ve got a quick, delicious and affordable meal that won’t heat up your kitchen for more than about 10 minutes! 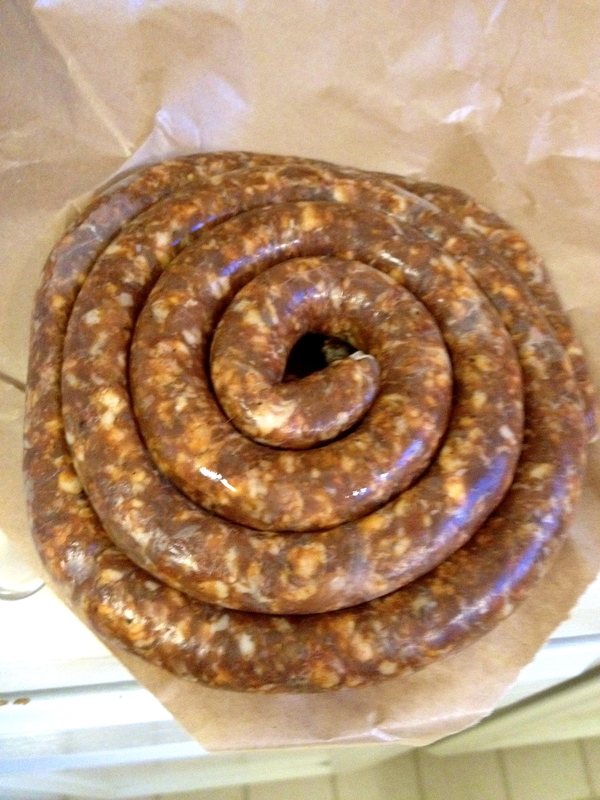 I took a class not too long ago at The Local Butcher Shop and came home with a total of 5 pounds of Sweet Italian Sausage and Goat Merguez. 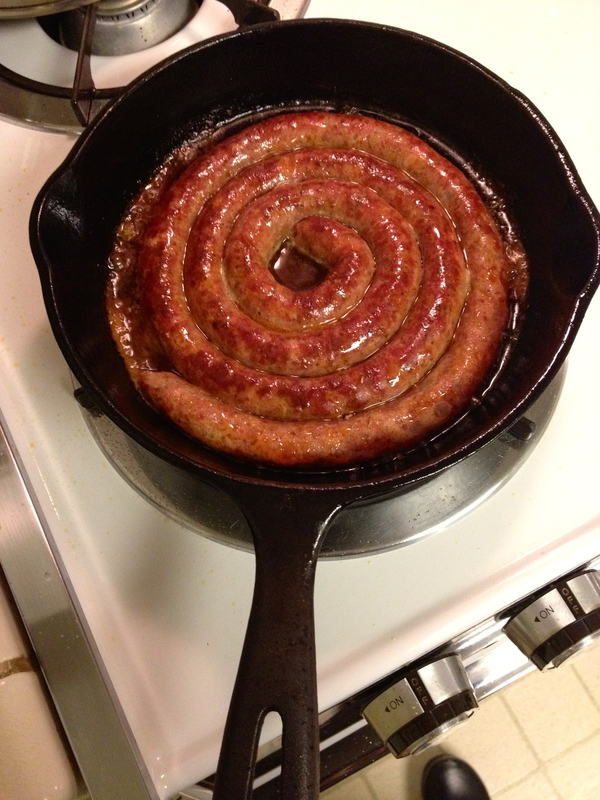 I learned that making sausage is actually quite easy and involves only a few steps and I hope this inspires you to give it a try. 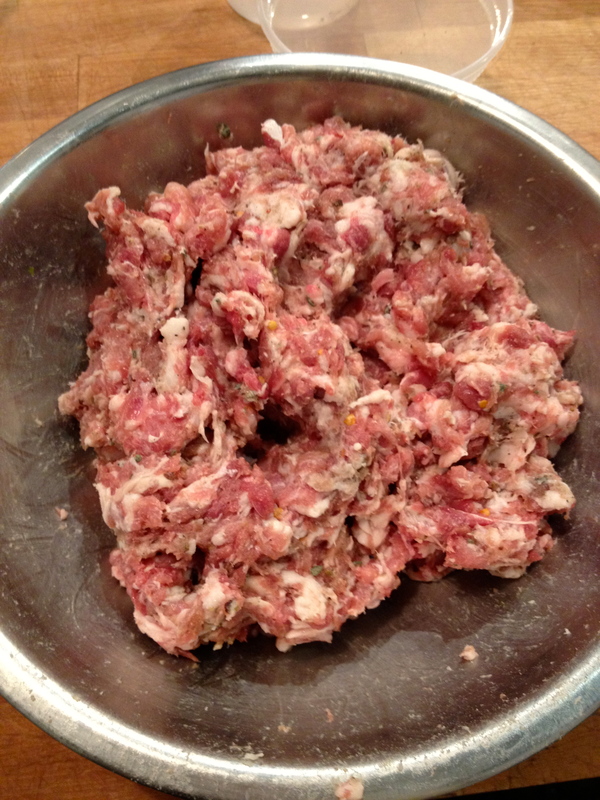 Basically, you start with some good quality coarsely ground meat, including Pork, Chicken, Turkey, Lamb, Goat, or even Seafood, which you can ask your butcher to grind, or do it yourself. 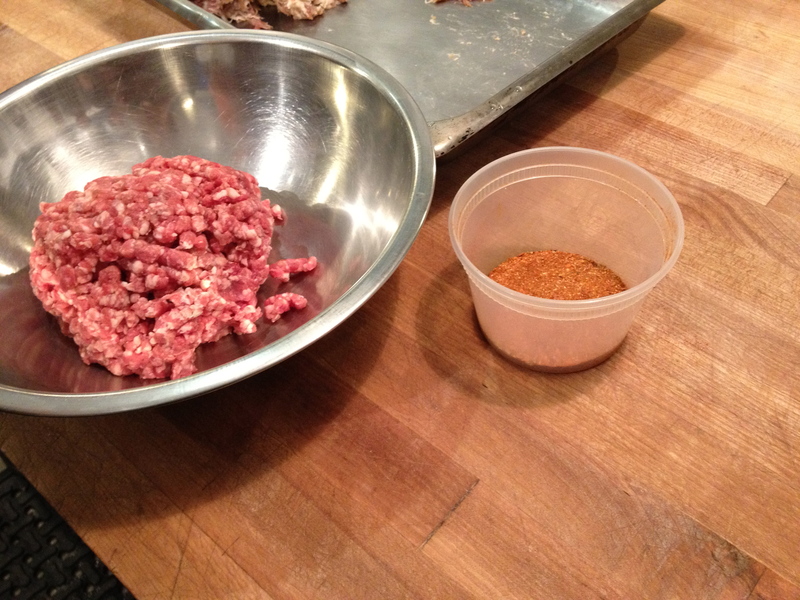 Next, with impeccably clean hands or with rubber gloves, mix in your spice blend (the photo above is Merguez — a sausage with North African flavors such as Harissa, Sumac, Fennel and Garlic) and a chopped, fresh herb. Wash your casings and stuff them (not too densely) using an attachment on your meat grinder (KitchenAid has attachments for grinding and stuffing). 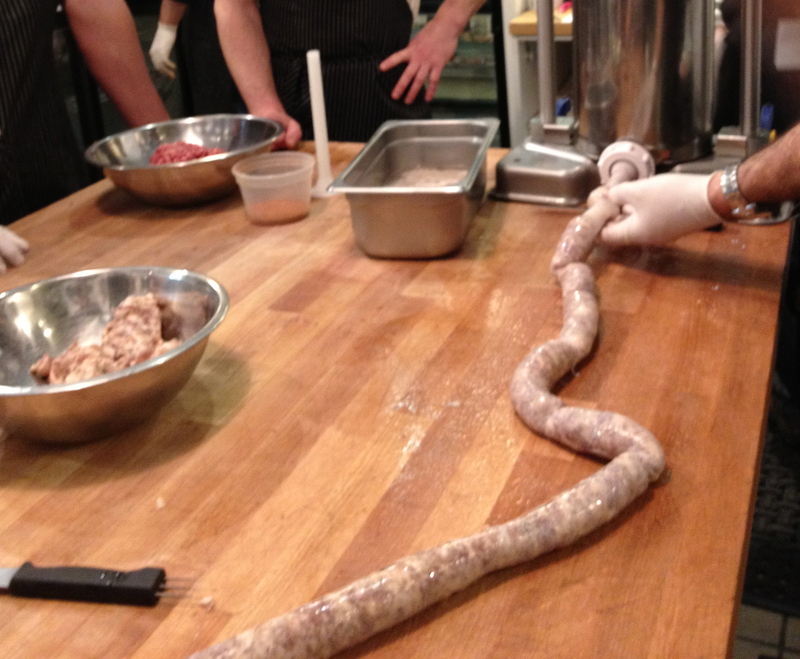 Then twist the sausage into the size link you prefer (twisting each link in the opposite direction) and cut them apart, or if you have a smaller casing, you can roll it into a spiral, like I did with my Goat Merguez. 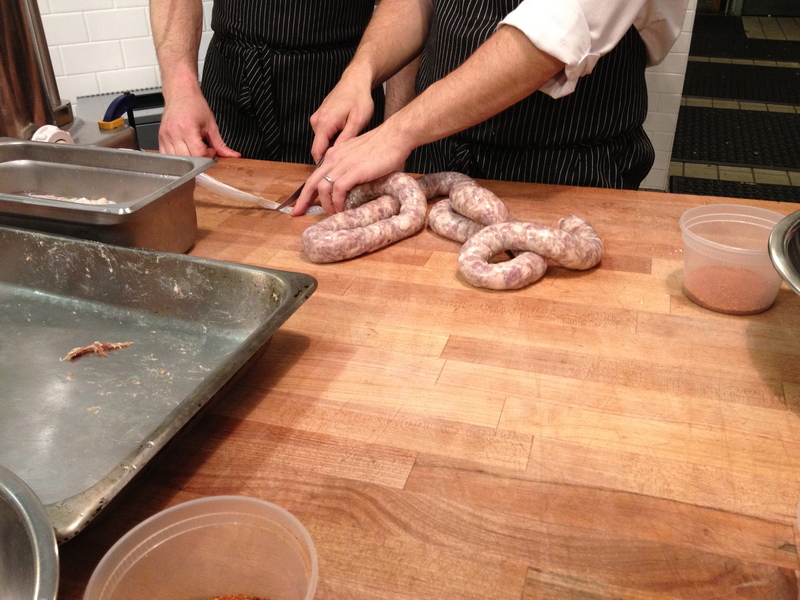 I have to say, after making my own sausage, it’s tough to go back to store-bought. One of the tips from The Local Butcher Shop is to include some chopped fresh herbs (like Sage, Oregano, or Cilantro) and that really does make a difference in the flavor. Unfortunately, since the recipe for Sweet Italian Sausage and Goat Merguez are protected via copyright, I’m unable to share them with you, however, I did find a recipe for Simple Homemade Sausage Patties on Martha Stewart’s website (from Lucinda Scala Quinn’s cookbook Mad Hungry: Feeding Men and Boys) that you might like and it doesn’t even require the casings. If you have a good local butcher shop in your neighborhood, you can try to buy the casings and curing salt from them, otherwise, you can buy them online. Now I just need to find the time to make another batch! I found this recipe from Martha Stewart and it was so easy (perfect for me, who has little patience for measuring too many ingredients!). 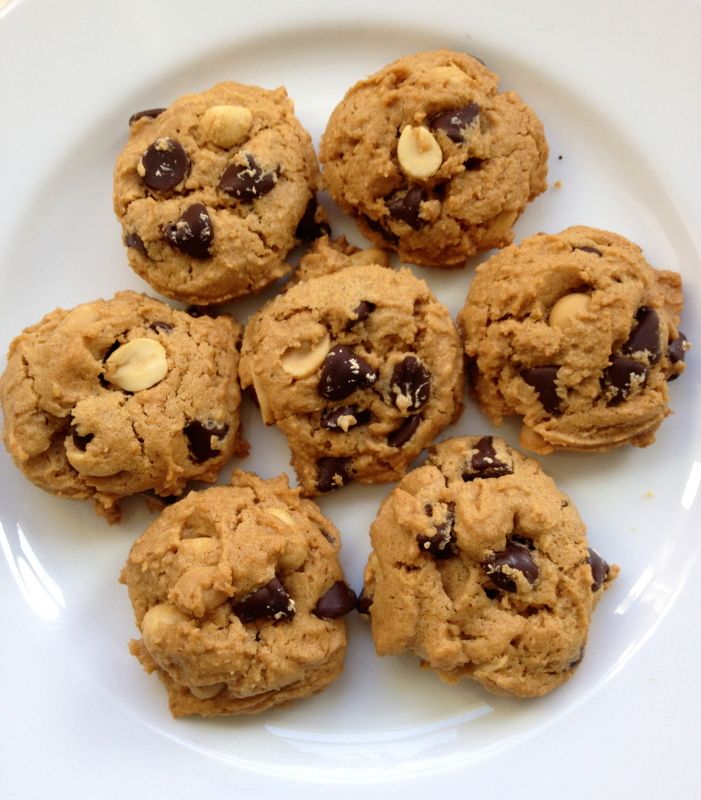 You probably have all the ingredients on hand (if you stock chocolate chips and peanuts) which means you can whip up a batch anytime. I prefer bittersweet chips so swapped them for semi-sweet in the recipe. One of the reviews said chunky peanut-butter works too, if you don’t have creamy peanut-butter. The peanut-butter and peanuts almost makes me feel like I’m eating something healthy! Next time, I’m going to try using Coconut Palm Sugar which is less processed than white sugar. Some sources suggest it has a lower glycemic index, although there is also some controversy on this (one factor is the time of harvest). I think they’re going to be gobbled up quickly!